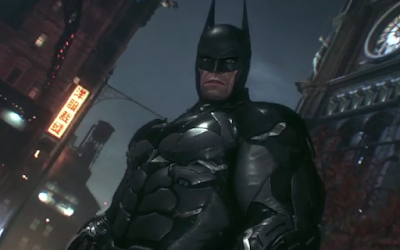 It's "Time to Go to War" in this new gameplay trailer for Warner Bros.Interactive Entertainment and Rocksteady Studios, Batman: Arkham Knight.Over 7 minutes of Batman facing off against Gotham's famous villains - Poison Ivy, Scarecrow, etc.- in the newest promotional video from actual PlayStation gameplay.This is reportedly the grand finale to Rocksteady's 'Arkham' trilogy. Batman: Arkham Knight will arrive June 23 for PlayStation 4, Xbox One and PC on June 23. Arkham Knight Batman Rocksteady trailer video video games Warner Bros.
Labels: Arkham Knight Batman Rocksteady trailer video video games Warner Bros.